The Writers Alley: On the Porch with New Alley Author, Wendy Paine Miller!! 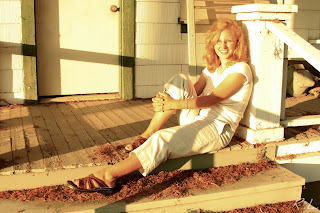 On the Porch with New Alley Author, Wendy Paine Miller!! 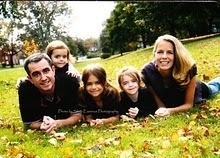 I am so thrilled to help welcome Wendy Paine Miller to the Thursday blog post here at the Alley. Wendy and I will be sharing the Thursday posting duty, alternating back and forth, so I get the distinguished privilege of welcoming her and introducing her to you. I like to imagine we are sitting on the porch having a friendly chat, so I encourage you to pull up a seat and a warm soothing sip of something comforting and enjoy the chat! Wendy!!!! What a thrill to welcome you here to the Writer’s Alley. It is exciting to welcome a new face and a fresh perspective to the blog. So, the first question that comes to mind… what is your backstory? How long do you have? No really, my story is interwoven with all those I’ve loved and learned from. I wouldn’t be writing today if it weren’t for the many people who’ve inspired me, urging me forward on this path, encouraging me to walk by faith and not by sight. I’ve been married for eleven years and have three girls. Writing and mothering. Mothering and writing. I’m convinced I have the best job in the world. Did I hear correctly that you have 5 WIPS? Would you care to share the story ideas with us? Let’s see, I’ve written four novels. They’re all at varying stages of completion. One is out on submission. 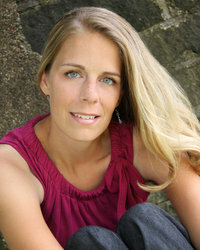 I write women’s fiction, stories that delve into moral dilemmas, sacrifice, forgiveness and other similar running themes. I’ve just begun the first draft of my fifth novel. How long have you been on the writing journey? When did you know you wanted to be a writer? As a young child, I delighted in creating stories in my journals. I admired my older sister who liked to write poetry. I’ve always had a unique way of receiving the world. At some point it clicked that I should transfer some of my findings onto the page. College was a wonderful breeding ground for my imagination. After graduating with a BA in English, with a concentration in Creative Writing, I sought to conquer the world with my words. But I fell into careers that called for little creativity. I missed writing, the kind I grew to love in college. I dabbled with it through the years. Got married. Had babies. Breastfed and let the babies ingest all my creativity. I swear, as soon as I stopped breastfeeding the characters for my novels began barging in. For over the past three years, I’ve done my best to tell their stories. We all have some big inspirations in our lives that push us to work harder, who inspires you? Family? Authors? Friends? My mom listens to every brainstorm I have. God love her soul. I’ve also had a few authors who’ve taken me under their wings to teach me and move me along on my path. I’m forever indebted to these women. On day one I told myself that I wouldn’t establish any rules for what I’d write on my blog. So far I’ve stayed true to that. I tend to write about things that have the greatest impact on my life: my faith, my passions, including family and writing. I like to ask thought provoking questions because I’m inundated with them minute to minute from within that endless tunnel in my brain. Mondays, you get a hodge podge. Wednesdays, I create lists. I’ve titled this I 8 Wednesday and on Friday I ask a question to get to know my readers better. I want to inspire thoughts to move. My own. And the thoughts of those who read my blog. Who is the one person in literary (whether past or present) fiction that you would give your eye teeth to meet? Yikes, one, eh? I’ve always thought Anne Lamott would be an excellent conversationalist. Person: Really? My husband gets this vote. Second to Jesus. We are all a pretty zany bunch, (I am the only level headed one, so don’t say I didn’t warn you. :-) In fact some of us have been known to talk to ourselves and record the conversations, so this bodes the question, what would a conversation between you and your inner self sound like? I think I crack my husband up before I sit down to write. I make funny faces, use hand gestures and throw myself into the scenes I write. Otherwise, there is constant conversation in my noggin’. Need to find a way to quiet it down in there. I always seem to learn the most when things become quieter—when I stop talking to myself and listen. Welcome, welcome, welcome, we are so thrilled to have you here! And since you made it through the interview intact, I guess that now means you are an honorary member of The Writer’s Alley!! Woo-hoo!! Wendy, I'm totally cracking up! Having met you, I can totally picture you making funny faces and using hand gestures before you write. I'm so excited to read some of you over here at Writers Alley! So glad to have you on board and I look forward to getting to know you better! Wendy, I really enjoyed your interview! I didn't feel led to start writing again until my kids were 2 and 5...and now on a limited time basis. I'm so glad though...they'll only be "littles" for so long. I love your passion for being a wife and mommy. I recently realized why your "picture" looked familiar. I've been reading Exemplify magazine for a few months now and enjoying your articles. Excited to read your posts! Good to get to know you better, Wendy! I have been in a writing slump while I'm pregnant...maybe the hormones are writing blockers?? I hope it doesn't last through breastfeeding!! :) I love stepping back and watching my boys walk ahead...I have some great pics of that! @Casey, Great interview! Are you sure your level-headed one? I thought zany was a pre-requisite for writers? @Wendy, hey lady! Welcome to Writers Alley. Like Sherrinda, I was one of three girls too, and I always felt bad for my dad. lol.. Of course, now he has two grandsons he spoils whenever he gets the chance. :) I'm physical when I write too. It's how I figure out how to describe scenes, actions, facial expressions, etc. Casey, that was a great interview and wonderful questions. Wendy, always fun to learn more about you. Your voice comes through so strongly in your writing and I LOVE that. It makes it all so unique and special :) So wonderful to have met you during this crazy writing journey--you've been a friend, a supporter, a cheerleader, someone to hug when things get rough and...so much more! Great to have you here! Casey, what a great job you did with your questions. You gave us the opportunity to really experience the awesome essence of Wendy. Wendy, I loved this line from your answers: "I’ve always had a unique way of receiving the world." That is so true and one of the things I love most about you. Meeting you in person at the ACFW conference was such a thrill. I knew from your blog that you viewed the world through a different lens than many of us, so I didn't quite know what to expect when we met face to face. I was blown away by your awesomeness. You are a breath of fresh air, a wealth of wisdom, a source of inspiration, an encourager extraordinaire, and a ray of sunshine all rolled into one. On top of that you're young, beautiful, talented--and tall. @*grin* Thank you Keli, great to see you on the Alley again. Hey everyone, don't forget while you are here to enter the Weekend edition giveaway from last weekend okay? Okay, just blew in from work. SOOOOO glad to have you here, Wendy. Your family is BEAUTIFUL!!! and so were your answers. And don't listen to Casey. She's just as insane as the rest of us, it's just that we've become content in our insanity -she's still learning to accept it. btw - it was wonderful to meet you at ACFW!!! Wasn't it a fabulous experience? Thanks, Heather. Glad you can picture my faces. Wait until you meet my characters someday. Sherrinda, I'm one of four girls. No wonder I write women's fiction. ;) I'm looking forward to getting to know you better, too. It's an honor to be here. Julia, That is so cool to know you've read my articles in Exemplify. That has been such a blessed ministry to work with. I love that magazine and the editors involved. Angie, Thanks about the fam. How funny about pregos. I wonder if they need so much from us, they absorb it all up. ;D Here's to hoping you have a plethora of creativity throughout the pregnancy and after! Ralene, You've truly been a fun person to get to know, so engaging and interested. I appreciate that in people. Even our dog is a girl. Poor, poor husband. I encourage him to go out with the guys a lot. Cindy, You are a treasure to me in more ways than I can list here. Just know I trust you deeply and am glad your eyes are on my work. Thanks, Sarah. I miss the conference sometimes. It was such a high for me being with so many like-minded creative souls. So glad I bonded with you there. Keli, Your words went deep. They made me cry, actually. Been sort of in a funk. God used you today. Thank you!!! I miss your smile. Casey, I loved your questions. I'm grateful to be here and intend to reach out more (see third sentence to Keli). I'm excited to get to know you all more. Thanks for extending such a warm welcome. I love how God gives us just what we need and He knows the exact timing. I'm grateful to be writing along with you cool women! I'm so glad you're part of the team here on Writer's Alley. We're addicted to Wendy at Novel Matters, too. You'll love hearing from her on a regular basis. As you can tell from the interview, she's an amazing woman--creative, faithful, and tons of fun. Your response made me think of Wally Lamb spending nine years writing The Hour I First Believed. Some novels take more time. Love that you are pouring into yours. Shucks, woman! You uplifted me today. Thanks for that! I also realized I answered Anne Lamott for literary fiction writer. Think I skimmed that question. My favorite are her nonfiction works.